Growing summer vegetables here in the Pacific Northwest can be a bit tricky, not just for new gardeners, but for experienced gardeners as well. 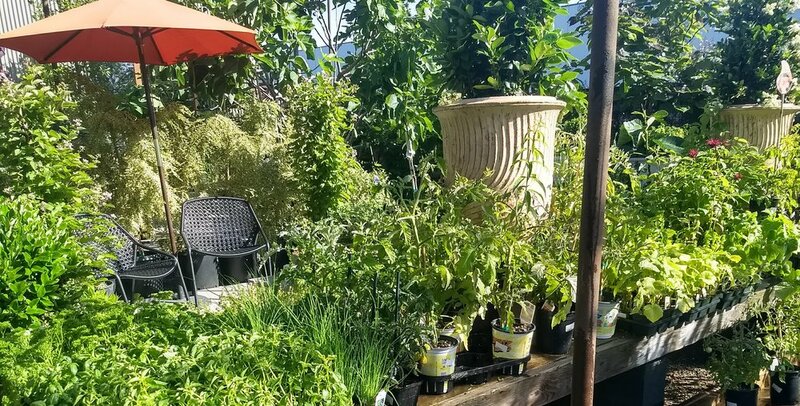 Our frequent warm and sunny days in early spring lure us out to shop for plants, and with tomato and basil starts for sale right out front at many big box stores it is easy to be tempted into a purchase. The hard truth is that without some kind of protection for these plants until summer arrives, their health and productivity is likely to be reduced. This year was the perfect example; we had five 80-plus degree days in May with nights above 50 degrees, but, as Western Oregon’s weather is prone to do in spring, we had returned to cool temps and chilly nights by month’s end. Summer vegetables do not like these conditions, and their growth may be arrested as a result. Perhaps even more importantly, plants in less than ideal conditions are more prone to disease throughout the growing season. The good news is that these issues are easily avoided by waiting to plant your summer vegetables until nights are consistently 50 degrees or above, which on average happens in the month of June. What does that mean? It means that it is absolutely not too late to plant summer vegetables! June is actually the ideal time to plant many crops, including tomatoes, squash and zucchini, melon, peppers, cucumber, eggplant, green beans, basil, and many other herbs. If you have summer crops that you planted early and you fear they are struggling, consider replacing them with new starts. Keep in mind that if you purchased a tomato plant that had been sitting outside of a retail store in chilly, spring conditions, it was likely affected by the cold for days or even weeks before you purchased it. Starts that are available for sale now have surely seen more sun and warmer temps that those that were offered for sale back in April. Now that you know it is not too late to plant a summer garden, be sure to prepare your planting area by adding compost and an organic fertilizer (follow the package instructions). We recommend and carry planting compost and fertilizer from E.B. Stone. If your soil is not heavily compacted, such as in a raised bed or undisturbed area of your yard, there is no need to rototill or dig excessively to loosen the soil, in fact, excessive disturbance to the soil is becoming increasingly discouraged as we learn more and more about its complex web of life. Using a tool like a flat fork (which looks similar to a pitchfork but with flattened rather than rounded tines), simply insert the fork approximately every 6 inches and gently rock it back and forth. Not only is this technique easy on the soil's organisms, but it does a fine job or dispersing the compost and fertilizer into the top 6 inches of soil for planting. Now, simply plant your starts and water them in thoroughly. With the benefit of warm temperatures already having arrived, you’ll be enjoying fresh food from your garden in no time! Tomato ‘Dancing with Smurfs’: A blue cherry tomato with red flesh. Incredible taste and high levels of anthocyanins which are responsible for the deep indigo color and are believed to offer a wide array of health benefits. 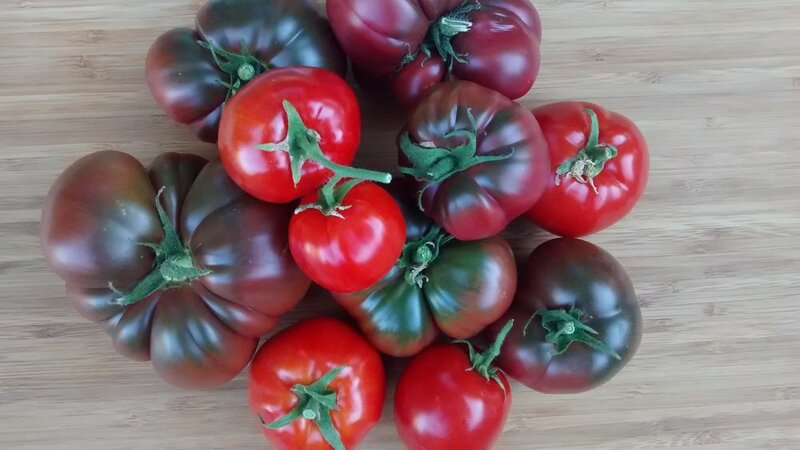 Developed through traditional breeding, these draw their color from wild tomatoes found on the Galapagos Islands. Basil ‘Fino Verde’: A compact, small-leaved basil bush growing 18 - 24 inches tall. Leaves are spicy sweet and add classic flavor to pasta and soups. Also sprinkle the leaves on salad or rice. Cucumber ‘Diva’: Simply delectable, with thin, tender skin, crisp flesh, and a flavor that combines sweetness with a crisp cucumber bite impossible to find in supermarket varieties today. No wonder it was a 2002 All-American selection! Pumpkin ‘Snowball’: Short vines with glowing white, 10” x 7” fruits that hold their unique color. Very productive and are not only decorative, but edible. Tomato ‘Patio’: A favorite of those who enjoy container gardening or have limited space. Medium-sized fruits are delicious for fresh eating. Grow in full sun for sweetest flavor. No stalking required. Much attention has been brought to drought-tolerant plants in our area over the last several years, and rightly so. Not only are these plants easy care, but many are absolutely stunning additions to the garden. A variety of natives fit the bill, including arctostaphylos, lewisia, ribes, and mahonia, all providing ease and beauty in the garden while simultaneously attracting native pollinators. In addition, a tremendous variety of water-wise plants originating from California all the way to Tasmania have been popularized over the last decade, and many have proven to thrive in Portland's climate, including but not limited to ceanothus, leptospermum (tea tree), callistemon, and grevillea. We've reached a magical moment where a Portland gardener could plant an entire, sunny yard with a tremendous variety of plants and trees and have no problem getting away with watering just a handful of times throughout the summer, with wonderful results. What a time to be alive! We've culled together a grouping of several of our most tried-and-true drought tolerant plants for you to peruse. We hope you see something you can't live without and will visit the nursery to pick up something new. Our summers certainly don't look to be getting any cooler, so any movement toward a drier garden is undoubtedly a smart one. Arctostaphylos (Manzanita): Seeing more and more Manzanitas pop up around the Portland area couldn't make us happier. These majestic evergreens, once thought to be too fussy to grow in our climate, have proven wildly successful in our native soil. Very early blooms (late winter/early spring) provide some of the first food of the year for hummingbirds, and vigorous leaf growth follows. Perhaps the most well-known Manzanita in our area is 'Uva-Ursi,' a common groundcover for full sun, but the variety of Manzanitas that will thrive in our area is large and varied - some are even tree-like, growing quickly to 8 or 10 feet tall. Many varieties of Manzanita have extremely attractive, mahogany-colored bark, which is easily exposed by trimming off a few of the lowest branches for the first several years after planting. A few of our favorites varieties for bark color are 'Howard McMinn' and 'Austin Griffiths'. Other Manzanitas are most beloved for their tough-yet-attractive foliage, including 'Sunset', which features unique and lovely coppery-orange new growth, and 'Pacific Mist, a low-growing shrub with long, blue leaves and purple stems for contrast. If you haven't yet added a Manzanita to your sun garden, it's an easy choice. With such a wide variety of shapes and sizes, there is always a Manzanita that fits the bill. Yucca: Yuccas are a wonderful addition to the drought-tolerant garden because of their unique architecture. Tall, rigid, semi-spheres of spikes look striking in groups as well as when paired with visually softer companion plants like lavender, sage, amsonia, yarrow, and leptospermum (tea tree). Yucca rostrata is perhaps the boldest variety that thrives here in the Pacific NW, forming a large trunk over time, which, by raising the foliage off the ground, allows the Yucca's spikes to form a striking blue sphere easily four or more feet across. 'Color Guard' is another favorite, with its bold, bright yellow stripes, and 'Golden Sword' is another dramatic option, with alternating blue, green, and pale yellow striping. Still on the fence about yuccas? Wait until you see the flower! After a period of establishment (typically just one to two years), full-sun yuccas will produce an incredibly dramatic flower stalk, or inflorescence, each summer, which is covered in dozens if not hundreds of gorgeous, creamy-colored flowers. We think yucca is worth growing for this dramatic show alone. Sedum and Sempervivum: The tremendous variety of these hardy succulents available to us here in the Pacific NW makes it impossible not to find several must-haves. These plants are available in a range of colors and textures, feature polite spreading behavior, and couldn't be easier to propagate - what more could one ask for in the garden? One of our most beloved is the native Sedum 'Cape Blanco' with its powdery blue mounded foliage, which takes on a purple hue as the cooler weather arrives. Sedum 'Angelina', with its brilliant chartreuse needles, makes a lovely contrast to dark-leaved shrubs, and a new arrival at the nursery, Sedum 'Tricolor' features green and white variegation with pink leaf edges - a unique combination all in one darling package. Sempervivum 'Mrs. 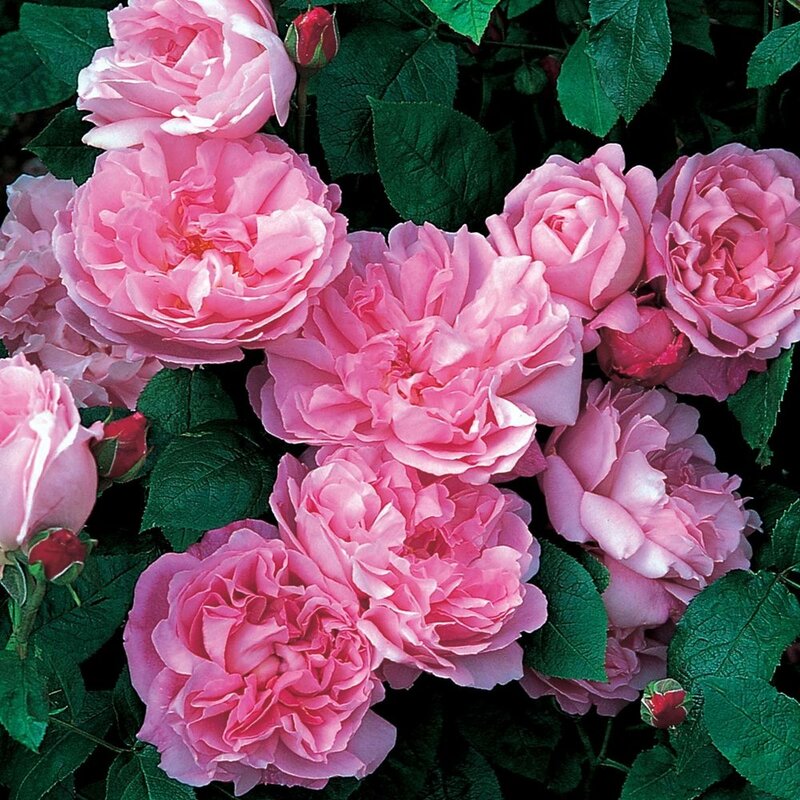 Guiseppe' is another favorite, with its taller-than-average blue-green rosettes spiked with purple tips. Sempervivum are often called Hen and Chicks because of the way they reproduce, which makes them ideal plants for containers. We love the way they quickly fill a space and politely creep over the edges in their unique way. Salvia: Salvias are wonderful, extremely long-flowering plants that thrive in hot and dry conditions, making them a great choice for tough spots in the garden. While many Salvias are hardy in out climate, some not-so-tough varieties can be grown as annuals here and are well worth it. The variety of flower colors within this genus is incredible diverse, 'May Night' features dense spikes of deep indigo flowers and fresh, fragrant foliage. 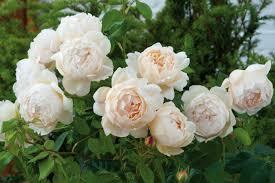 'Heatwave Glimmer' boasts masses of creamy white flowers and a lovely purple-black calyx. The bright magenta, tubular flowers of 'Wendy's Wish' protrude from dusty pink bracts on maroon stems - those who don't believe themselves a fan of pink flowers may change their minds after setting eyes on Wendy. Plant any of these Salvias now and you (and your neighborhood hummingbirds) will enjoy their flowers well into fall. What is the quintessential sign of spring's arrival in the Pacific Northwest? Is it daffodils blooming? Your raspberries beginning to leaf out? Peonies bursting up through the soil? We are so fortunate to have such short winters here in Western Oregon, but for gardeners, a short winter means there is only a short break in our gardening season. By the end of January, we're already creating a to-do lists and obsessively checking the weather report in hopes of a dry day. Whether you are a first-time homeowner or a seasoned gardener, it's always nice to have a list of late winter tasks. All of this goes for us at the nursery, too - we have lots of work to do to prepare for our upcoming busy season, which will be here before we know it! What follows is a short list of important tasks that are best completed before spring's arrival. We hope you will find it helpful. - Make plans for early spring planting: Planting trees and perennials early in the year will reduce the need for watering and allow the plants to become more established before summer. From this week on we'll have new plants arriving at the nursery each week, so come in and get inspired! - Pruning and shaping: Now is a great time to prune fruit trees as well as late summer and fall flowering shrubs and trees such as hydrangeas, roses, and crape myrtles. We also recommend shaping boxwoods in late winter to ensure lush and even new growth in spring. - Cut back grasses and other perennials: Use sharp, clean shears or pruners to remove old material and make way for new spring growth. - Eliminate weeds early: Dandelions and bittercress are off to a particularly early start this year courtesy of our mild winter, and they are infinitely easier to remove when the soil is still moist and soft. Not sure how to treat your particular intruder? Portland Environmental Services has created this handy guide for identifying and eradicating weeds specific to our area. - Prepare for slugs & snails: Our favorite low-toxin solution is a beer trap. Simply fill a clean tuna can with beer and nestle it down in the garden near your affected plants, replenishing at least once a week or after heavy rain. If your problem is more widespread, try an iron phosphate slug bait, such as Sluggo, which is less toxic than metaldehyde-containing products, but proven to be similarly effective. - Deal with moss (once and for all! ): Mossy areas in your lawn are treatable, but moss will always return if an area is shaded and damp. If you have a problem area in your lawn, consider transitioning the area to an ornamental shade bed. When choosing plants, keep year-round interest in mind. Do you have something that blooms in winter? Will you have a punch of glorious fall color? Some of our favorite shade plants for our climate include Japanese Maple, Witch Hazel, Mahonia, Boxwood, Fatsia, Ribes, Epimedium, and Hellebore. Interested in a professional consultation for your yard? Information is available on our Garden Design & Services page. 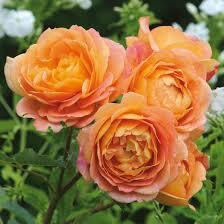 We look forward to seeing you at the nursery, where we are always happy to answer your gardening questions in person. While we don't often get dry days this time of year in the Pacific Northwest, getting out in the garden when we do is a great reminder of how fortunate we are to live here, where things aren't (always) covered in snow and ice, and where many winter-flowering plants thrive. Below we've detailed three our favorites winter bloomers to consider in the garden. The genus Hamamelis, commonly name Witch Hazel, is a relatively new plant to West Coast gardens. Two of the four known wild species are native to the eastern U.S., where they were used medicinally by Native Americans for centuries, but it was the hybridization of the Asian species in the mid-20th century that eventually led to the plant's prominence in home gardens. This genus fares well in our Pacific Northwest winters, but can handle much colder temperatures then we are accustomed to in Portland. Hamamelis are particularly well-suited to life under deciduous trees, where they will receive plenty of light in winter and protection from the hot sun in summer. While these plants provide year-round interest in the garden, they are beloved for their colorful winter blooms, which appear on bare twigs typically in January and February. Plant Hamamelis in a conspicuous spot in your garden, along a path you use regularly or within view of your favorite window. A backdrop of evergreen shrubs will help the fine winter blooms to stand out. Hellebores, genus Helleborus, also known as Lenten or Christmas Roses, are another beloved winter-flowering plant in the Pacific Northwest. 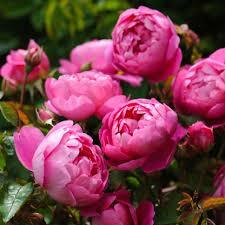 While they are quite popular in our region, they could be used much more profusely to great effect. The variety of flower colors among Hellebores alone is enough to write an entire book, not to mention they are still actively hybridized, with new and more dazzling results each year. Hellebores are adapted to flower with very little light, making them an ideal choice to brighten up otherwise difficult areas of the garden. One of the first plants to bloom in winter, low-growing Hellebores are often best featured by removing any or all of last year's leaves. These leaves are best removed in early winter as the buds on the plant begin to swell, creating an opportunity for the sweet, nodding flowers to really stand out. 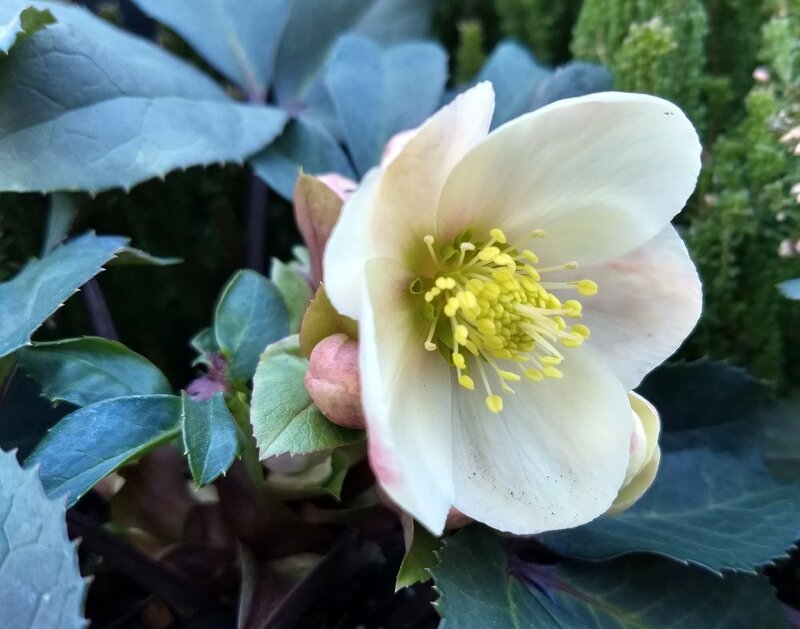 While Hellebores prefer plenty of fall and winter moisture, they are quite drought-tolerant in the summer, making them an ideal choice in the Pacific Northwest garden. Perhaps the most striking plant for the winter garden is Edgeworthia, commonly known as Paperbush. An Edgeworthia plant is a showpiece, best in a prominent spot that enjoys winter's dappled sunlight. The firework-like blooms come on slowly, starting as delicate, fuzzy nodes as the plant loses its leaves in fall, and transitioning to uniquely textured, creamy-colored buds as winter arrives. Finally, in January or February, the buds burst open to reveal masses of fragrant and long-lasting flowers ranging in color from soft yellow to gold to orange and even fiery red. While prized for its winter flowers, Edgeworthia is a delightful plant year round. It features long, alternate, lance-shaped leaves that have a somewhat tropical look. Keep your Edgeworthia well-watered and protected from the hot sun in summer, and it will remain one of your favorites throughout the year. Come and visit us at the nursery this winter to see any of these wonderful plants for yourself! We are open seven days a week from 10 a.m. until 5 p.m.